Identity theft is one of the most traumatic non-violent crimes to which one can fall victim. When a crook uses your good name to commit fraud or robbery, the impact on your reputation, employability, and credit is severe and can last for years. It's even possible to find yourself arrested for crimes you did not commit. So it's important to protect yourself against identity thieves. The telltale signs that your identity has been stolen can be subtle and go unnoticed for months, even years. Inexplicable charges on your credit card bill may be chalked up to clerical errors. Letters from creditors you've never heard of and certainly never did business with may be ignored. But eventually, an enormous credit card bill, legal papers or police show up at your door. You are denied a mortgage or a job. Then the real nightmare of proving "I didn't do it" begins. Check your credit report on a regular basis, to see if there is any incorrect information, or accounts you don't recognize. My article Free Credit Reports Online explains how U.S. citizens can get three free credit reports per year. Shred your sensitive personal documents before throwing them away. A battery-powered cross-cut shredder can render your banking and credit card information unreadable and costs less than $30. "Dumpster diving" is a favorite, low-tech way by which ID thieves collect bank statements, credit card numbers, Social Security Numbers, and other bits of your identity from your trash. Be wary of telephone solicitors asking for personal or financial information to "verify your identity." Common scams involve someone who claims to be from your bank or credit card company, claiming that there is a problem with your account. If you did not initiate the call, hang up and call the toll-free number on your statement, then ask for the security department. Keep important documents, such as tax returns, birth certificates, social security cards, passports, life insurance policies and financial statements secure in your home. A fireproof safe is a good idea, but remember to bolt it to the floor or hide it well. Make sure no one is looking over your shoulder when you enter your debit card's PIN at an ATM or point-of-sale terminal. I recommend the "two finger method" where you point two fingers at the ATM keypad, but only press with one. This makes it nearly impossible for someone nearby to discern your PIN while you're entering it. Memorize PINs, account numbers, and passwords; do not write them down. And for heaven's sake, do not put such data on scraps of paper kept in your wallet, purse, or laptop case! Get blank checks delivered to your bank branch, not to your home mailbox from which they may be stolen. On a similar note, eliminate junk mail which may contain "convenience checks" and credit card offers that can also be intercepted from your mailbox. Visit the Privacy Rights Clearinghouse and OptOut Prescreen for help eliminating these dangerous nuisances. When you order a new credit or debit card, mark the calendar and follow up promptly if it does not arrive within 10 business days. Ask the card issuer if a change of address request was filed, and if you didn't do it, hit the panic button. Don't give your Social Security Number to any business just because they need a "unique identifier" for you. Instead, ask if you can provide alternate proofs of identity, such as your driver's license or birth certificate. Consider placing Fraud Alerts with the major credit bureaus, so new accounts cannot be opened without your knowledge. Call Equifax (800-525-6285), and they will pass along the request to both Experian and Trans Union. Fraud alerts expire after 90 days, so you can repeat the process quarterly, or lock down your credit file with a Credit Freeze. A freeze is permanent and free (in most U.S. states) but it may interfere with loans applications, employment screening, signing up for utility or phone service, new insurance policies, and other transactions. You'll also need to contact each credit bureau (Equifax, Experian, and Trans Union) to request the credit freeze. There are plenty of common sense things you can do to protect against identity theft, but sometimes it's beyond the control of even the most vigilant. The Javelin Research 2013 Identity Fraud Report found that data breaches perpetrated on large companies proved to be a "treasure trove" of data that could be used to commit identity theft and fraud. And before you put too much blame on those big corporations, check yourself. Security firm McAfee says that when a relationship ends, it's quite common for an angry ex to engage in revenge tactics, which may involve exposing your personal data or passwords. So be careful what you share via email, text and social media. And keep passwords close to the vest. You may be considering LifeLock or a similar identity theft protection service. Although this can be helpful, no company can guarantee that identity theft will never happen. These services monitor your bank account, and look for suspicious online activity done in your name. They'll alert you if they spot any red flags and promise to help you repair the damage. But because of lawsuits filed by the credit bureaus, Lifelock can no longer place fraud alerts on your behalf. Also, all identity protection services are barred from offering Identity theft insurance coverage to residents of New York state. It can be a nuisance to manage fraud alerts manually. But given the recent focus by scammers on new account fraud and account takeover fraud, a service such as LifeLock, Identity Guard or Trusted ID may still be useful. Most cost about $10/month, which isn't much for the additional peace of mind they offer. Is Your Web Browsing Really Private? Most recent comments on "TEN TIPS: Identity Theft Protection"
My credit card company offers to email me when my card is used. Initially, they allow me to set a threshold amount for it to kick in. It is almost instantaneous in emailing me the charged amount. 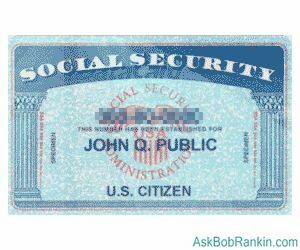 The only peace of mind in my book in all of this is to place a "Security (credit) Freeze" on your SSAN with all three credit bureaus as you mention Bob. I did this many years ago for my SSAN. I've had to "lift it" once for one bureau when we applied for a "rewards" credit card recently by providing my pin number for that particular credit bureau for that credit card company (PenFed). Here in Florida, it cost $10 for a "Security Freeze" for each bureau unless your 65+ or a victim already, then it's free. And you'll need to send your info to each by certified mail which is an additional expense. But for less than $50, I have had peace of mind for all these years on my SSAN. My wife works for the US government and was recently notified that her sensitive info (SSAN & DOB, etc.) was on a computer stolen from a government employee. So just yesterday, I mailed to each of the three credit bureaus her letter requesting a freeze on her SSAN. Should have done that years ago. Were you aware that companies such as Lifelock farm out part of their operation to third party vendors exposing your private information further into the hands of unknown individuals. I feel safer w/o diseminating my info to other companies. Its through loss of their data or fraud by an employee that your identity is mostly compromised. EDITOR'S NOTE: Can you provide a link to more information on this claim? "...eliminate junk mail which may contain "convenience checks" and credit card offers that can also be intercepted from your mailbox..."
I've eliminated as many of these as I can. When some still arrive, they go in my cross-cut shredder, not in the trash where a 'dumpster diver' could find them and use them to change the address and open a new account in my name. I noticed that AVAST Antivirus Free now has Avast CreditAlert credit monitoring. They have a free version and a paid version. Right click on the AVAST icon in your taskbar and then Open Avast! User Interface. Click on MARKET in the left hand column. Scroll down to WATCH YOUR CREDIT. What is your take on this service? Thanks Bob, a timely reminder. I'd like to offer additions to a couple of your points, if I may be so bold. 5. Also carefully check an ATM for a reader placed over or inside the card slot whenever you use an outdoor ATM or pay for gas at the pump where there is not 24 hour staffing. If it looks "wrong" don't slide your card. 7. You can contact each of your credit cards and stop them from sending "convenience checks". 10. I highly recommend placing the credit freeze Bob mentions. It is easily temporarily removed (may be a fee) whenever you legitimately want to apply for credit etc. We tested our freeze by applying for a new credit card and it was denied. We were requested to call the bank, and reapply with the freeze temporarily removed. We found also stopping SPAM snail mail also reduced the number of unsolicited credit card applications mailed to us. Search for "stop unsolicited mail" and you'll get the link to the ftc.gov info. We can never be too careful. 11. Don't leave tax returns & other sensitive docs on your computer any longer than necessary. When I go to "OptOut Prescreen", it asks me for my SSN. Sounds fishy. EDITOR'S NOTE" Not fishy. The form says: "Your Social Security Number and Date of Birth are not required to process your request. However, providing this information will help to ensure that we can successfully process your request." This site is run by credit bureaus: Equifax, Experian and TransUnion. They already have your SSN (and have a legitimate need for it). Can't afford or don't have room for a shredder? A plain old paper punch can eliminate pertinant data on forms that are going in the trash. Similar to the old story how NASA spent millions developing the Space Pen to write in zero G's, the Russians said "we use a pencil." Protect all your personal and financial data on your computer, in an encrypted folder, in case your computer is lost or stolen. There are several good free encryption programs such as TrueCrypt. Brilliant idea, so simple...a paper punch, I would never have thought of that. It is also portable, and can easily packed for trips. I have a punch that is shaped rather like a pair of pliers and just punches one hole .... that tool now has a new use. Good tips here, but I read that most common CC theft occurs at the local cafe or restuarant when the server disappears with your CC.